Just over a month ago, I put together a huge list of responsive WP themes. I’ve received a tonne of messages from people asking which themes would be best for them, most of whom were looking for a great portfolio theme. So, instead of responding to lots more messages, I’ve decided to put together this post with a small number of beautiful WordPress portfolio themes designed specifically for web designers, writers, artists, photographers, and illustrators to show off their work. Enjoy. Emmet is a responsive and feature-rich template intended for showcasing your business portfolio. Simple and intuitive to handle, it includes WordPress Live Customizer, letting you manage the theme’s color scheme, edit tiles and widgets, and see the results of your work in real time. The theme is pre-loaded with a set of working forms, letting the users get in touch with you and leave a feedback about your services on your site. The theme is intended for presenting portfolios of business and financial companies in a professional, trustworthy manner. The layout is clean and minimalist. Several galleries and sliders are pre-loaded into the pack for a more effective presentation of your content. For a quicker and seamless web development, the template is pre-installed with MotoPress drag-and-drop content editor. All elements of the design are fully responsive. So, you may feel certain that all content of your site will adapt flawlessly to any screen size it’s being viewed on. This WP theme is clean and minimalistic, with an elegant look and feel. It’s fully compatible in all major browsers, well-coded in HTML5, and designed with speed and SEO in mind. 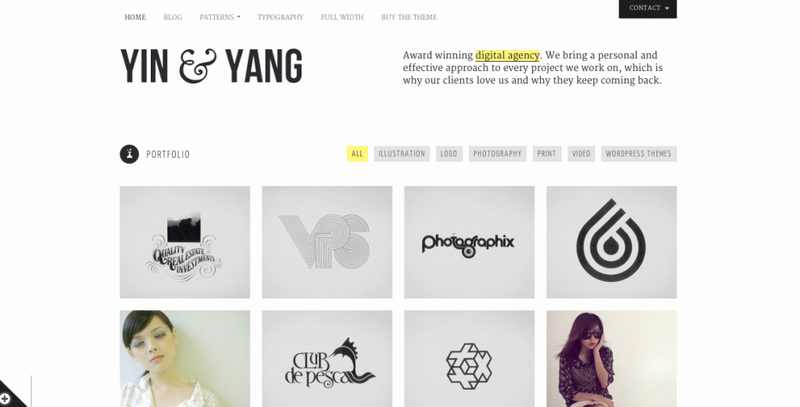 If you’re just looking for a simple clean portfolio theme, this is a good pick. Crush is a highly customisable responsive portfolio theme ideal for freelancers, creative agencies, and web designers. It’s fully responsive, retina ready, and has lots of really nice CSS3 and HTML5 effects. Bookish is a great portfolio site designed for authors and writers to quickly create a compelling portfolio site to show off and sell your books. Based on Bootstrap, this theme is fully responsive, meaning it looks great on all devices. The theme also comes with four separate skins, enabling you to customise it to your liking. The Novelist is a WordPress theme designed for serious writers to showcase their talent. This theme is fully responsive, translation ready, and has a huge library of Google fonts to choose from. All round a great choice for writers looking to promote their portfolio. 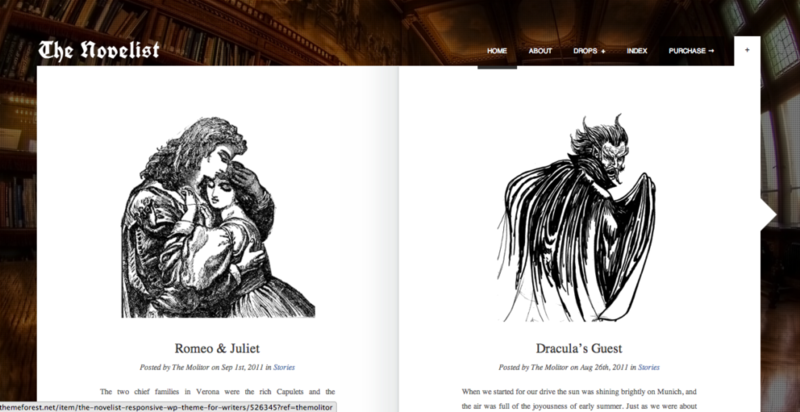 Webbie is another portfolio site designed for eBook authors. 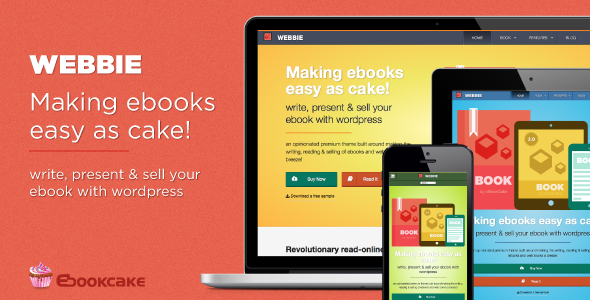 While minimalistic, it’s elegant and makes selling your eBooks easy. This theme’s fully responsive and fully integrated with a digital download plugin, to make it easy to sell your eBooks straight away. Flexit is a responsive WordPress theme for photographers, and personal portfolio sites. With a super flexible layout, eight different gallery styles, and numerous ways of showcasing your images, this theme’s easy to customise and create a powerful impression. Division is a WooCommerce ready portfolio theme for displaying your photography. This theme’s optimised for SEO, and features over $50 worth of premium plugins already included. 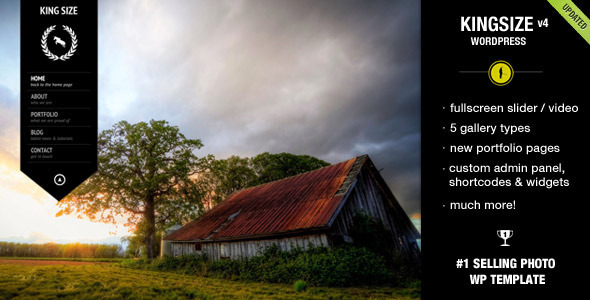 King Size is an amazing photo gallery theme aimed towards photographers. 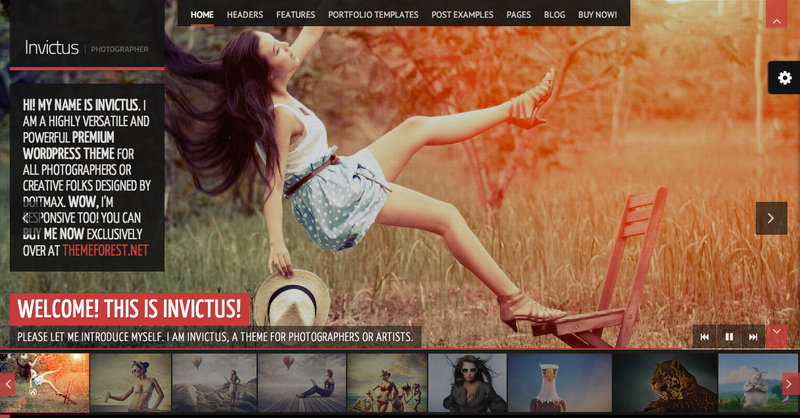 The theme offers five different layout styles, and supports both photo and video content in the background slider. 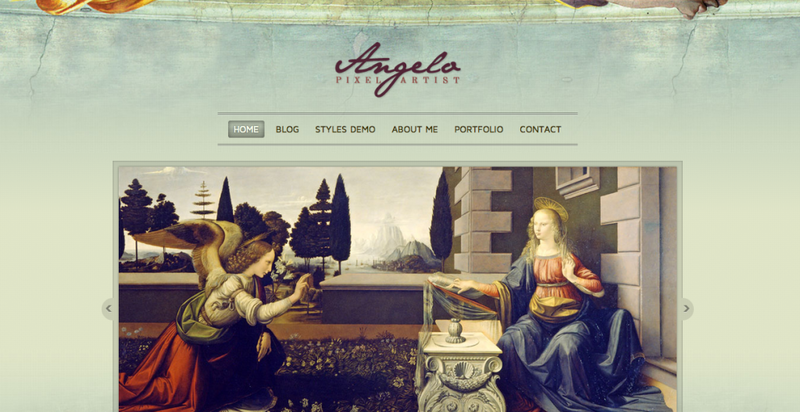 Angelo is a classic and elefect theme with a filterable portfolio, and a range of skins, colours, and styles to choose from. 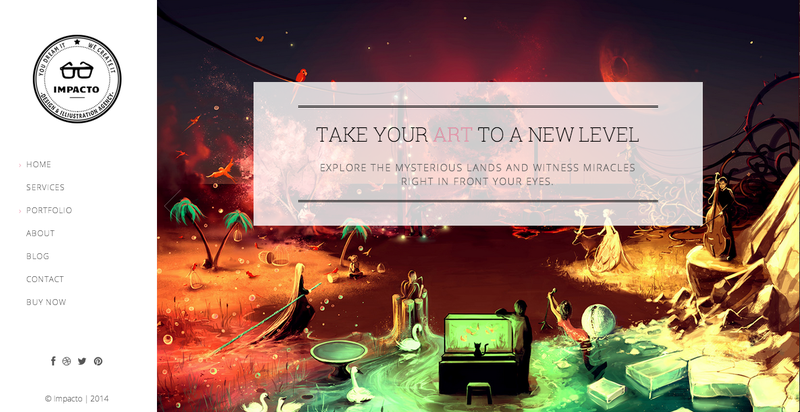 This theme is primarily designed for artists, painters, architects, poets, and writers to show their artwork. Mug is a simple, yet striking, multipurpose grid portfolio suitable for creative professionals looking for a minimalistic design. The layout is highly customisable, and is built with a widget-based design. Folio Two is a simple and easy to use portfolio theme designed for creatives and artists to showcase their work in a fullscreen ‘masonry’ style grid layout. The design is adaptable to all devices, and is fully customisable. Impact is a beautiful responsive and retina-ready portfolio theme designed for creatives, designers, artists, and illustrators to showcase their work in a non-cluttered and highly visual way. With parallax scrolling effects, high resolution imagery, and multiple portfolio layouts, this theme is fantastic for really making an impression with your work.